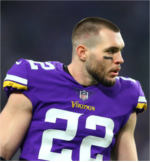 I know the Washington Redskins have a lot of controversy surrounding their name and image, but why haven't the Minnesota Vikings? I've been a huge fan of the Vikings since 1998 (Cunningham, Carter, Smith and Moss), but I can't get past the Norseman logo. As a person of Norwegian, Swedish, and Danish heritage, I don't like seeing a guy with horns on his helmet as being symbolic of the team or my heritage. 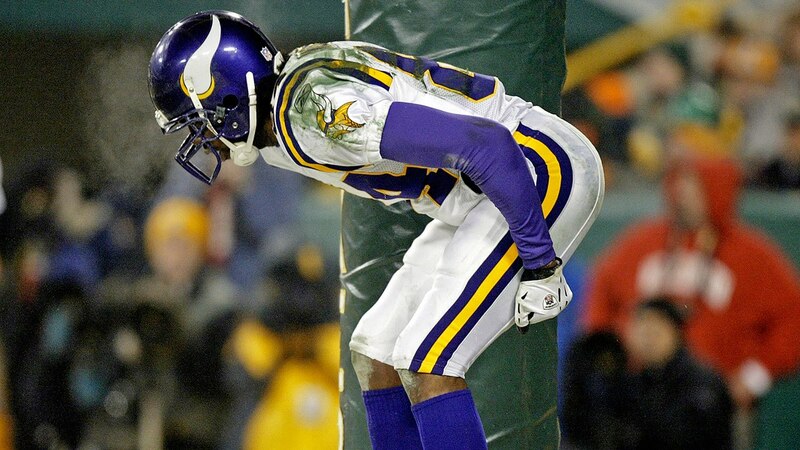 Now, if the Vikings want to keep the white horn on their purple helmets I'm fine with that. As a Christian, the Bible talks about the Horn of Salvation. The Horn of Salvation is good because it represents God's power and strength to save his people. The horns though are un-natural. If you look at just about every image of Leif Erickson, you won't see horns on his helmet you will either see him with wings (on the helmet), a sword, or a cross. My ideal version of the Norseman logo wouldn't look all that different from the one you see now, but it would be lacking the braids, the moustache, and the horns. 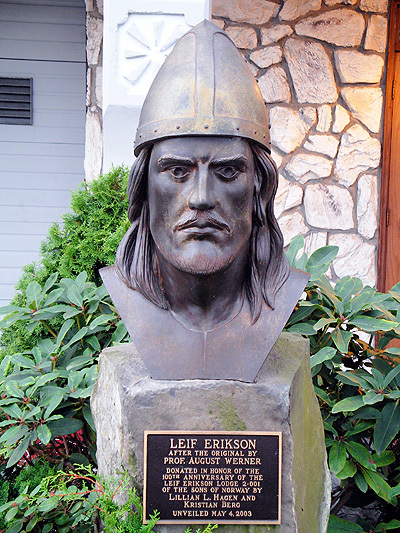 Honestly, I really like this statue of Leif Erickson. The only problem is it doesn't have the side view and color I want. Both look very dignified and professional. 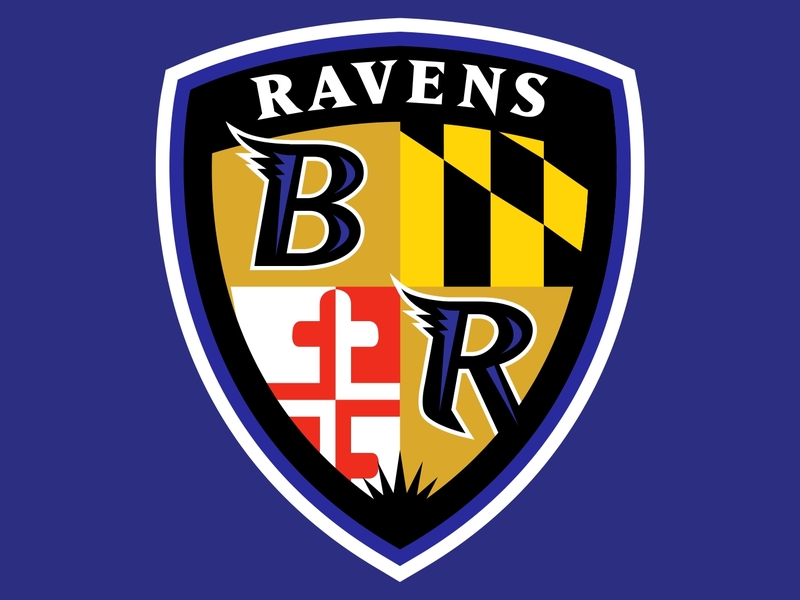 Now I know some people on here I'm sure believe that the logo shouldn't be changed because they believe it would bring bad luck to the team, but how could it? We've already lost 4 Super Bowls and something like 7 Championship appearances. Honestly, I believe this could change our fortunes as an organization! Now a new stadium, not a new practice facility but a new logo. If anyone is good at graphic design, please post what alternative logos you would like to see. Give me your honest opinion and we can set up a vote! Here are some alternate logos that were made up a few years back. I'm not a Snoop music fan, but I like some of the logos. I would say that the controversy over the redskins name is pretty different. More racially motivated rather than not being historically accurate. I specifically think the name of the team is pretty terrible. Here's an example of what I mean - go up to someone of Norwegian, Swedish, or Danish heritage and call them a Viking. Do you imagine a problem with that? Now imagine you go up to a Native American and call them a "Red Skin". Some may care, some may not, but would you call a stranger that? The reason you hear about one and not the other is the difference between potential racism (depending on who you ask) and a design being historically accurate. As far as the "lucky" side of it. I don't see that as a problem that. Like you said, it's not exactly been lucky thus far. If they were to change the logo to something more historically accurate I would be ok with that I think. I'm not on board with keeping the horns around to represent Jesus, personally. If we're ditching the horns because they're not historically accurate then just ditch the horns. When it comes to Washington and the name of the team it comes down to race and a derogatory term that was used in the persecution of said race. A whole different ballpark than the somewhat historically inaccurate depiction of a Viking. Yes, Vikings did have horns and other ornaments on their helms although those were a minority and most were more like Leif Erikson as you mention. The term Viking is more related for describing a populace from a small geographic area and from a specific period in history. It's like the Celts. A long gone populace with a different religious view that is basically erased from the world. Sure some might still practice the Celtic ways but they are not many. If you go up to an Irish person and call them a Celt I bet they would just shrug it off. I can't speak for all Swedes and much less all Scandinavians/Nordics but most of us will just laugh and play along for a bit and not care at all if you would call us a Viking. Some might even be proud to be called a Viking(but now we're diverging into right-wing racist things I rather not talk about). The logo then.. as much as it is historically inaccurate it is also how most people see a Viking when asked to describe them. The reason for this is probably the romanticsation of the Vikings which happened a couple of hundred years ago and was never "corrected". There are many more historically inaccurate depictions in this world we live in and it is extremely rare (has it ever happened?) that a depiction that is hundreds of years old creates a controversy. To go back to the name of the Washington team, it is akin to a team named "Spokane <insert derogatory term for african-american>", it is just unthinkable to have a team with a name like that, so why should Washington keep theirs? And I'm sure you don't think that <insert derogatory term for african-american> is equal to the name of "our" team, the Vikings? Or that the historically incorrect depiction of a Viking used for our team logo is equal to the word <insert derogatory term for african-american>? That is why there is no controversy about the Vikings, either in name or logo. I think we have one of the best looking logos in the league. And the horns will never go anywhere, they've been part of the team since the beginning. I love the logo. 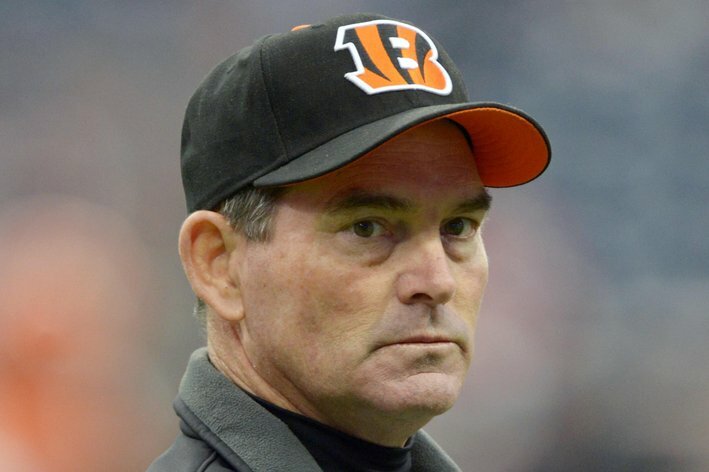 Its one of the most recognized in the NFL I think. I am part Norwegian, as Im sure many other Viking fans are, and I dont understand how it could be taken an other way other then pride. Unless your looking for stuff. It's not the name the Vikings I have a problem with,. I just am not a huge fan of the logo. I'm currently going to work on an alternative logo with a graphic designer. I hope to post what I would like as a logo a couple weeks from now. Other than the logo, does everyone else believe we need a different mascot? Viktor the Viking, seriously? I would prefer Ragnar Lothbrok from the History Channel show The Vikings. On to another topic, whats up with the Vikings working with Chris Kluwe to promote LGBT issues? Since when is it in is it in the teams interest to do so? And why does Chris Kluwe seem so passionate on the issue? I don't know about you guys, but I've seen a lot of men that look like Chris Kluwe that have some good looking cover models on their shoulder. Honestly, if he would put more time in at the gym he would have no problem getting a woman. This is some class A level trolling right here. I realize you're new here so a couple of things. First, welcome aboard. Please feel free to post the logo when you're done. I personally like the old mascot better but heard he was asking for a lot of money. Viktor is a little cartoonish for my taste. Love the logo and helmet. Hope they never change. I hate the Redskin name. I hate the Indians name and logo. The Indians ownership and their fans that are against change are scumbags. It's 100% race. Norse were white. Ain't nobody care about that. Nor do I...I like the Vikes logo and semblance. Horns and all. I want the horn to stay. I'm Norwegian and don't mind it at all. I'm sure the horns were probably envisioned by those writing tales about Viking raids to demonize them more to increase the fear of their stories. As a Norwegian I'm proud that people view my ancestors as something to be respected and feared and that they want to be associated with them. I feel it keeps our history alive in the public's eye. 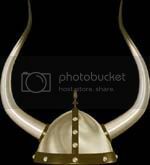 They then learn that Vikings didn't have horn's on their helmets since it's impractical. We snicker and say "But it seems pretty cool and inspires fear". I have a issue with the Redskins because the name is just wrong. The only issue I have with the Indians is their mascot. Make it more dignified. I feel the Native Americans should relax a little, and I believe they have. I remember some of the outrage about the Braves but that seems to have died out. This is an interesting take. I’ve always liked the Norseman logo and I have not encountered anyone, until now, who finds it offensive. I'm still trying to figure out if the OP is being sincere or is playing with us. Regardless, no one seems to be buying whatever he is selling. therefore, I shall endeavor to acquire some self-control."